Wondering how a religious festival is linked to financial well-being? Some answers. There is an interesting story to how the Kumbh came into being. As per mythology, samudra manthan (churning of the oceans) was needed to be done. It could only be done jointly by the Devas and Asuras. A lot of invaluable things came out through the churning of the ocean including amrut (nectar of immortality). When the amrut came, it was to be distributed equally between the Devtas and the Asuras. However, Lord Vishnu intervened in a female avatar, and the amrut kalash (urn), also called kumbh was taken by Jayant, the son of Lord Indra to heaven. As per the tale, the drops fell in four places where the Kumbh festival is held. One day in heaven is equivalent to a year on earth. It took 12 days for Jayant to reach heaven. Hence, Kumbh happens every 12 years. Being professionals or entrepreneurs one is always running after money. As per Hindu scriptures, there are many kinds of wealth: Social, Intellectual, Physical and Financial. Social wealth: Having the right set of people who you can help and they can help you in your challenges is a form of wealth too. Intellectual wealth: Having good intellect is also a form of wealth. It helps to diagnose problems at the core and enables one to live life well. Physical wealth: The body is the only real life partner. One is able to enhance one’s enjoyment only when health is in place. Being healthy makes one an asset wherever one is. Financial wealth: Financial wealth incidentally is the last on the list. If one is able to use one’s endowments, gifts and align with opportunity then wealth creation takes place. 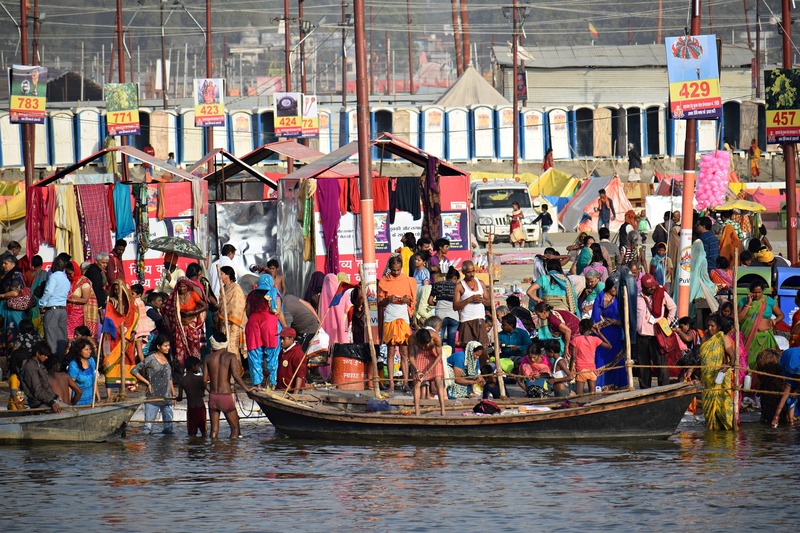 It is one of the sought out experiences in Kumbh. What does a dip represent? Till the mind is at peace it cannot deliver at the maximum. One needs to align the benchmarks set internally and see how one can create the edge while maintaining balance and equilibrium. Akshay vat is a tree which has been around for thousands of years, it is said. Legend has it that a few drops of amrut have given it an eternal life. The manthan is nothing but going deep within one’s mind. It refers to the act of introspection. Many of us lead hurried lives. Incidentally the common experience is we are always in a hurry, but never on time. Introspection with regard to achievement of goals, having fulfilling relationships is what is important from a long term point of view. The output from the introspection when applied systematically creates a life possible beyond one’s dreams and creates its own virtuous cycle. Many of us assume that financial planning and managing wealth are alien concepts to Indian culture. A Kumbh is held every three years, Ardha Kumbh is held every six years and the full Kumbh is held every 12 years. To put it in perspective, a market cycle in any asset class lasts three to four years. Then it is time to reallocate. Every six years a review of the goals helps in identifying the future and how ready one is for it. After every 12 years, the lifecycle changes. One needs to change as per lifecycle to stay relevant and prosper. A darshana of holy and wise men makes the experience complete. Similarly, meeting people who have a broader view helps to expand one’s horizons. May this inner dip bring you closer to your fortune.